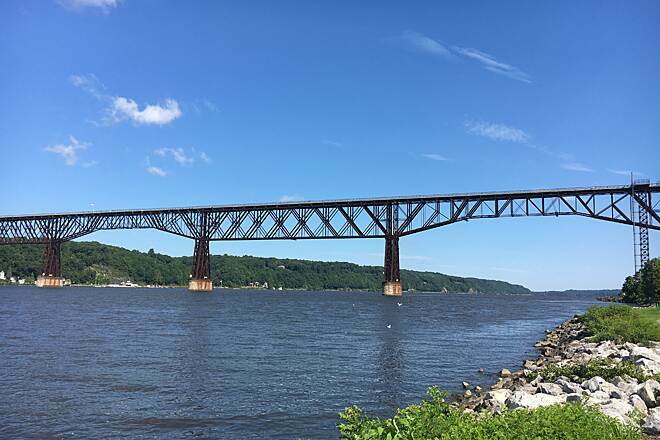 Built in 1888 to link New York and New England to the coal beds of Pennsylvania and the West, the steel cantilever truss Poughkeepsie-Highland Railroad Bridge was the longest bridge in the world for a spell, stretching 6,768 feet over the Hudson River. 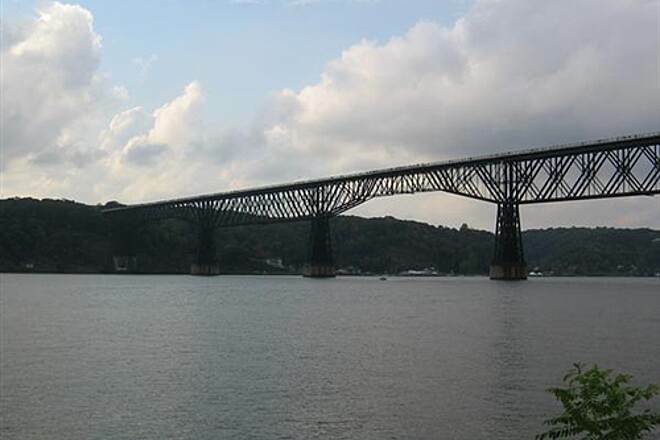 A 1974 blaze, blamed on sparks from a passing train, damaged only 700 feet of the span's wooden decking. Repairing the bridge, however, was too pricey for the bankrupt railroad company that owned the structure, and tearing it down would have been far more expensive. 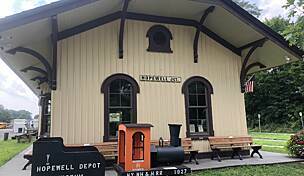 Instead they permanently halted railroad operations over it. 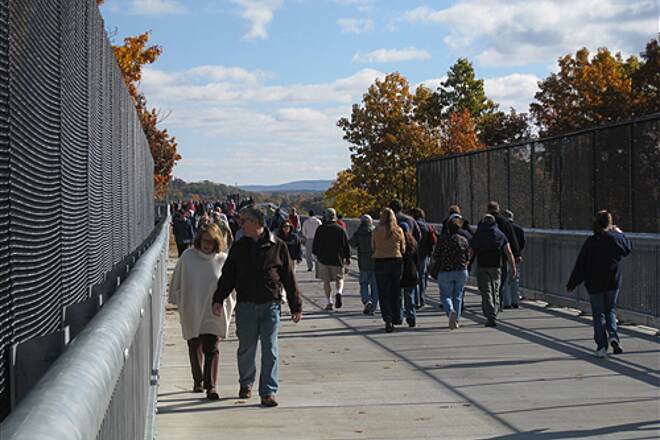 Today the bridge is the Walkway Over the Hudson State Historic Park. 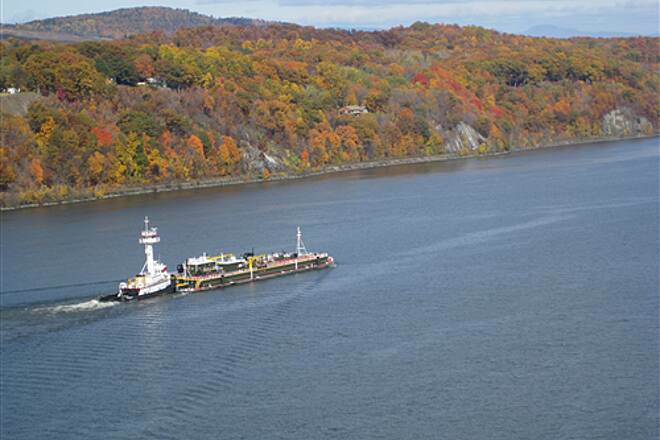 The bridge deck is 212 feet above the Hudson River and provides spectacular views both upstream and down. 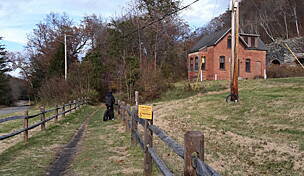 Expanding 25 feet over land to 35 feet over the water, the deck used to fit a pair of railroad tracks. 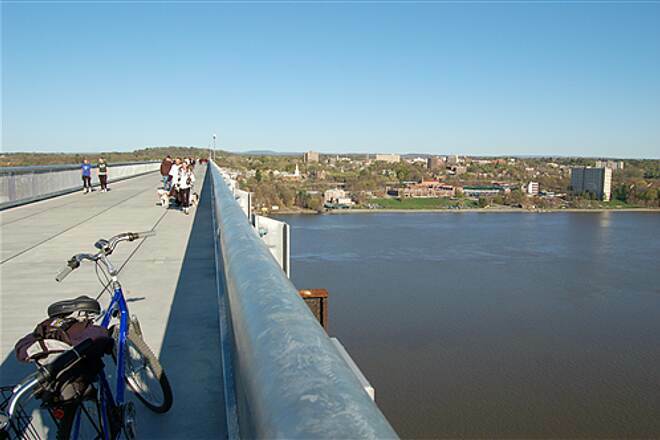 Now it sees a steady flow of walkers, joggers, skaters and bicyclists who drink in this new view, which opened to the public in late 2009. 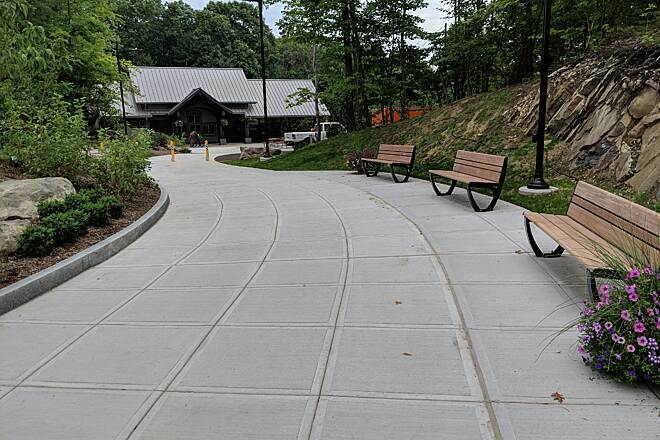 It will one day be a linchpin in a 27-mile corridor of rail-trails and riverfront parks already built or planned in Ulster and Dutchess counties. 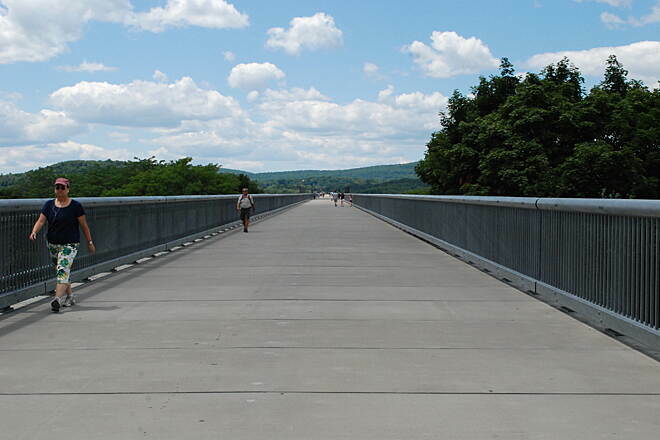 The Hudson Valley Rail Trail's final mile in Highland connects to the bridge's east end. 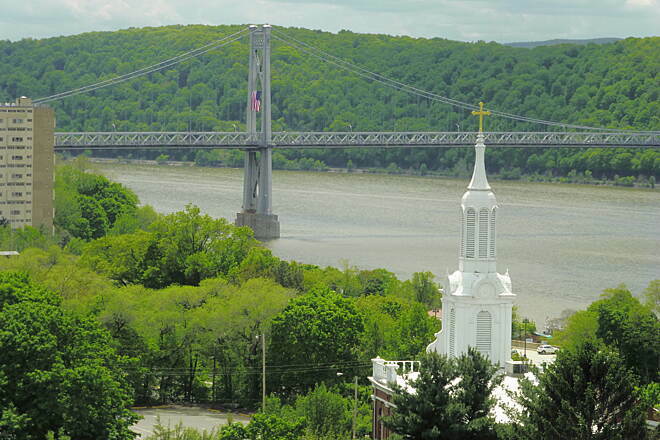 In Poughkeepsie, the Dutchess Rail Trail connects to the bridge at Parker Avenue and extends southeast for 13 miles. 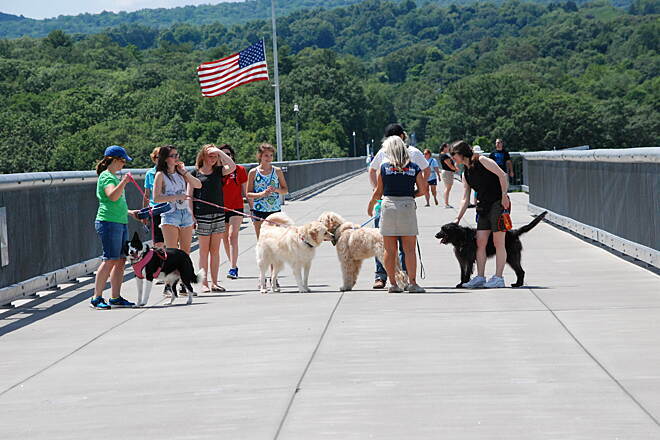 The Walkway Over the Hudson started with a group of like-minded locals. 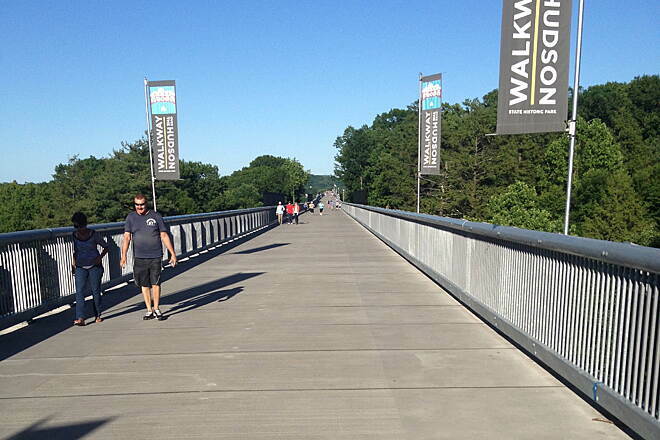 In 1992 they formed an advocacy organization devoted to converting the bridge into a public walkway. 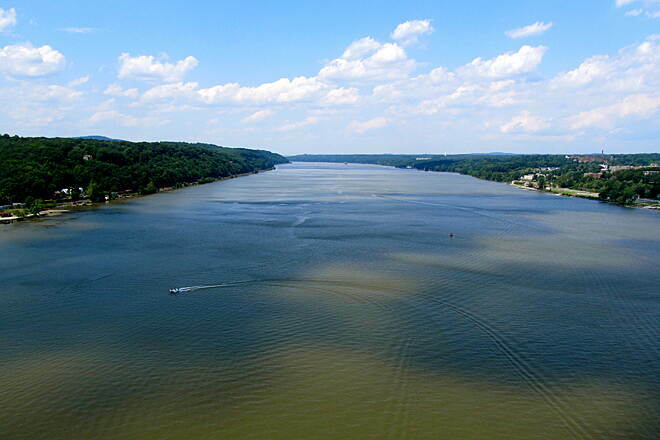 About 15 years later, they had funding in place and the state was on board to manage and maintain the park. Construction was a considerable undertaking. 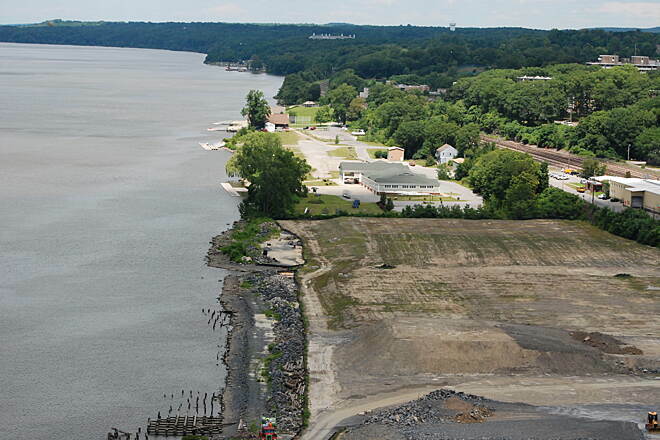 The entire structure, including underwater piers, had to be assessed for stability. Existing railroad structures, such as walkways, ties and railings, were demolished to make way for the new deck's pre-cast concrete panels. Additional metal and foundation repairs were required to support the weight of the crane that would place the panels. Worker safety was a primary concern. 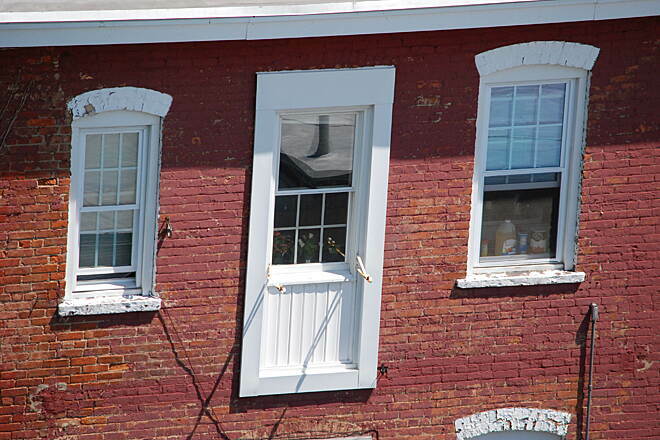 Anyone working within 6 feet of the edge was required to wear a harness and lifeline. Select workers with climbing skills were identified as emergency responders in case of a problem. 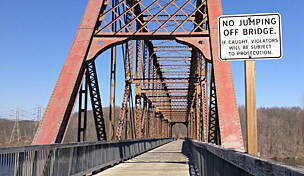 No skateboards or motorized vehicles are allowed, except for motorized wheelchairs. Pets must be on a leash no longer than 6 feet. 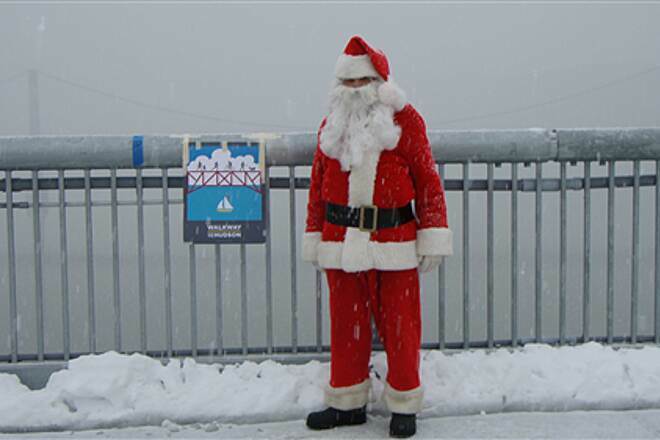 Restrooms are available at each end of the bridge. Benches and shaded areas are in the works. 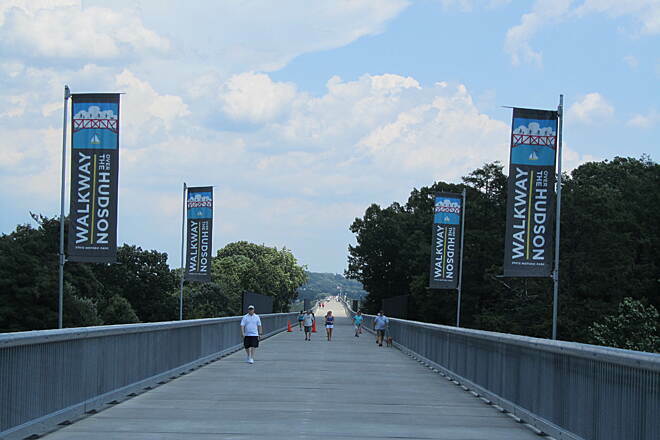 Lights have been installed for night-time events (the bridge can be reserved for events) and food vendors cater to hungry bridge users. 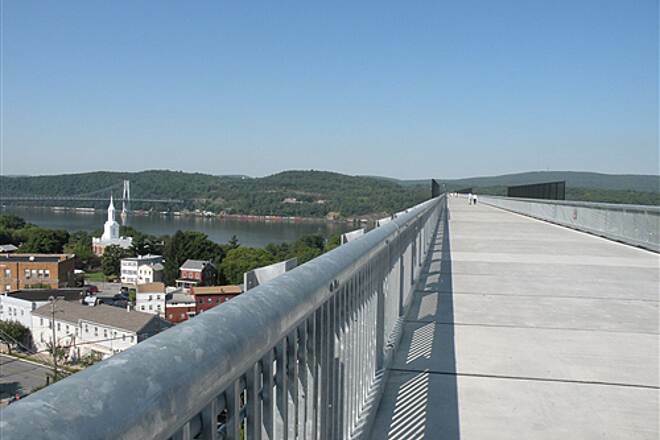 In addition, a 20-story elevator opened in 2014, and there's a staircase on the Poughkeepsie side. Friends of the nonprofit organization that oversees such projects are also pursuing funds for a Visitors Center. Visit their website for more information. 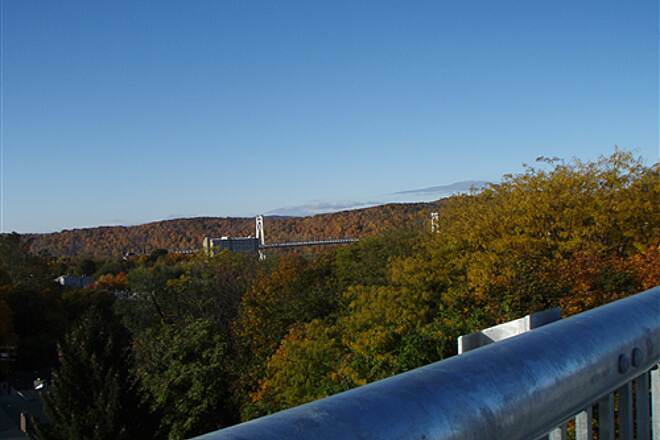 To reach the trailhead in Poughkeepsie from I-84, take the Taconic State Parkway north. Exit on State Route 55 west toward Poughkeepsie. Turn right onto Garden Street. 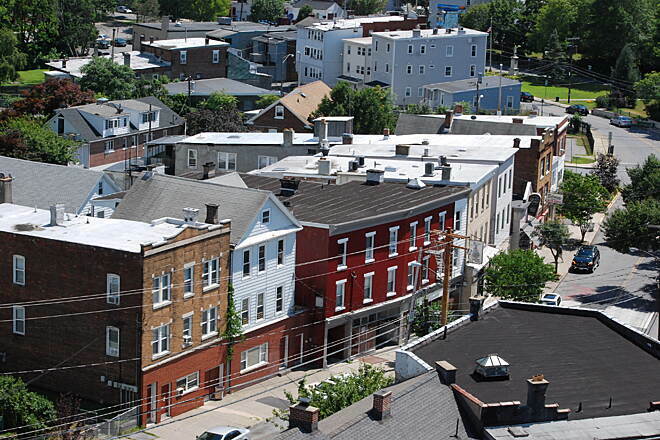 Turn left onto Parker Avenue. Parking for the walkway is on the right. 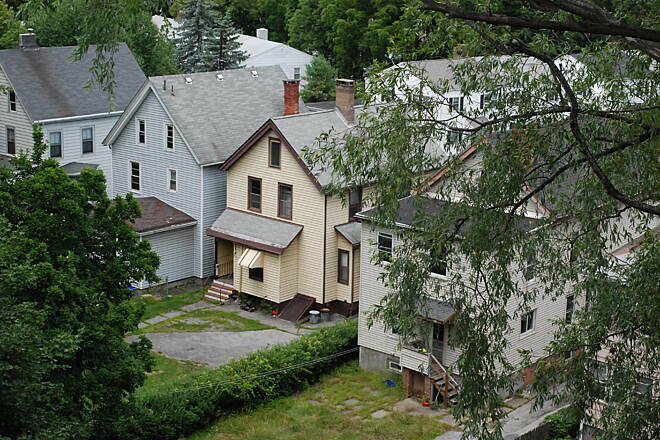 To reach the trailhead in Lloyd from I-87, take the exit for State Route 299 east. 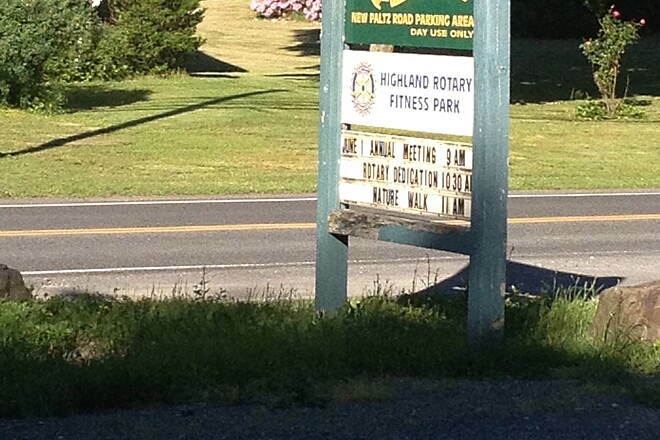 Turn right onto US Route 9W south through the village of Highland. Turn left onto Haviland Road. Parking is on the right. Rode across this twice on a September Saturday. Going eastbound in mid-morning and westbound in mid-afternoon. Although it was busy with pedestrian traffic, there was enough room to ride slowly ... we rode a tandem. The bridge deck is about 20 ft wide (eyeball estimate), so there is plenty of room and the fence rail is about 4-1/2 ft high. The views were fantastic !!!! This is a "must see & ride" if you're in the area. If you are in the area, this is a must do. 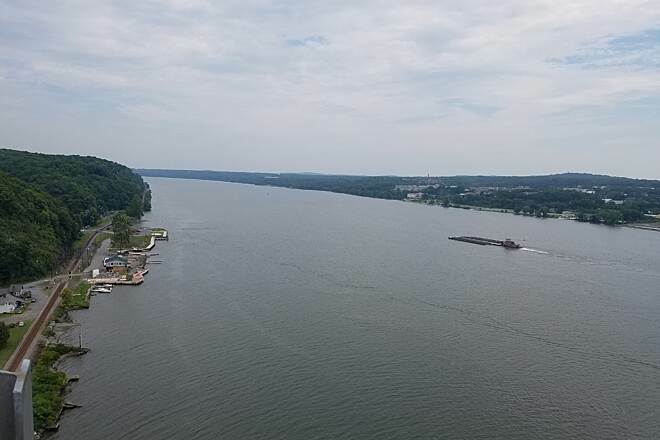 We went mid-day and mid-week, parked at the walkway, and rode over the bridge, down and back the connecting trail on the east side, back over the bridge, then down and back the connecting tail on the west side. Returned to the center for one last look at the bridge. All in all it took a few hours, was exceptionally beautiful and not at all crowded. Would definately recommend this to all riders, any type of bike, any skill level. This is short but does connect up to other trails for some length. This walk over the Hudson river is beautiful. This is the only time I have ever given 5 stars. So get out and ride. 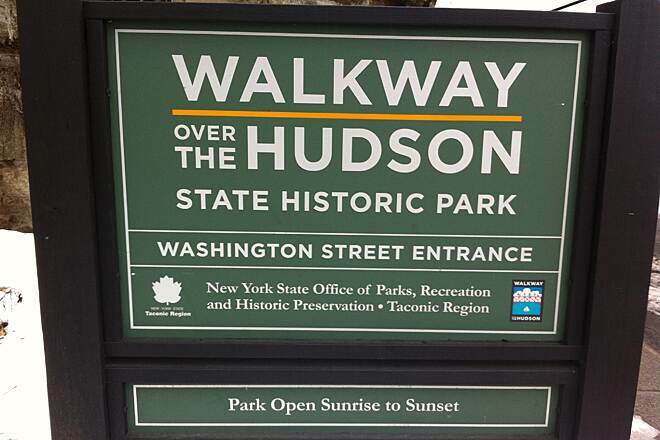 This is an amazing walk over the Hudson, the views are spectacular, a great outing. 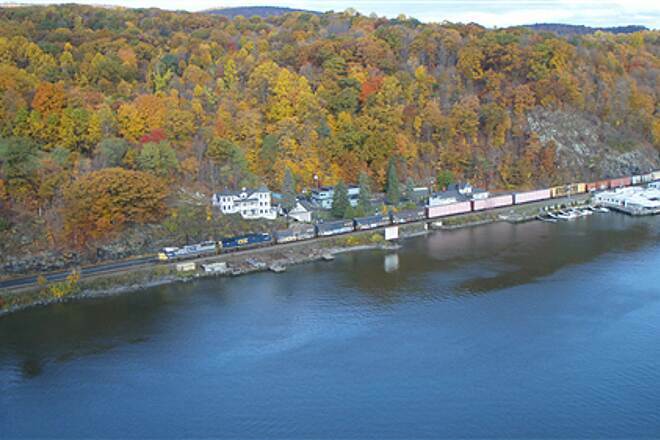 The Hudson Valley and Dutchess Rail Trails are an added bonus to this attraction, A must destination for any avid trail user. 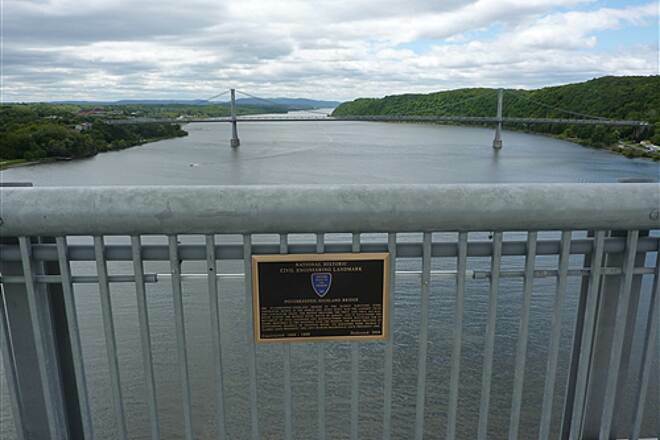 I've visited this trail twice - once as a scout troop outing (hike) and once as a part of a longer bike trip (combining the Steinhaus / Dutchess trail, the walkway, and the Hudson Valley rail trail). 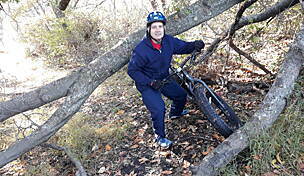 The trail is well constructed and maintained - and very popular. Thankfully the trail is very wide so there is plenty of room to maneuver. The views are spectacular. Worth the trip! Our first time visiting the area and had a great time! Took a walk on the Walkway Over The Hudson and glad we did. 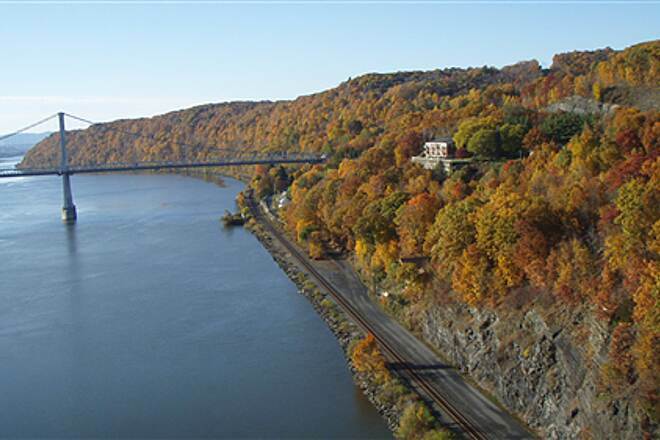 Spectacular views of the FDR Mid Hudson Bridge and river did not let down. Mid morning sun not to hot with cool breeze. Met a kind guide who was very informative. 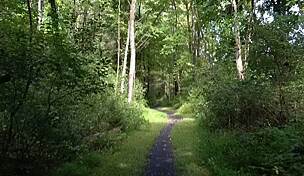 Would love to visit in the fall and hopeful for expansion of trail! 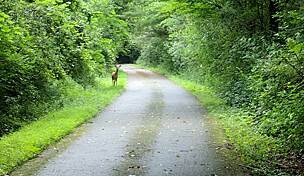 I have done over 100 trails in 10 states and logged over 2200 miles and this trail is the best of the best. I have never given out five stars before and I just had to give out the five stars for this trail. The view is spectacular and if you live in the North East part of the country you need to put this trail on your bucket list. I did this trail med week and there was not much of a crowed but I talked to a local and was told it gets crowded on the weekends. 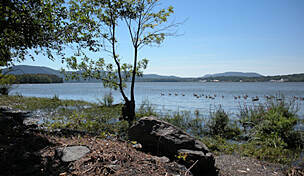 The trail connects on both ends with the Hudson Valley Trail on the west side and the William Steinhaus Trail on the East side and both trail have lots of parking. Again the view is as good as it gets. I have a great fear of heights but had no trouble with this ride. Did this trail last summer. Beautiful views, easy walking. Concessions sold at start of trail were appreciated since I didn't bring enough water. Will do this one again. 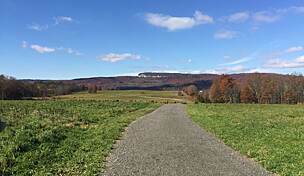 Trail now paved to Highland, 5.17 miles total! When visiting our son in Pleasant Valley, this is our favorite thing to do! 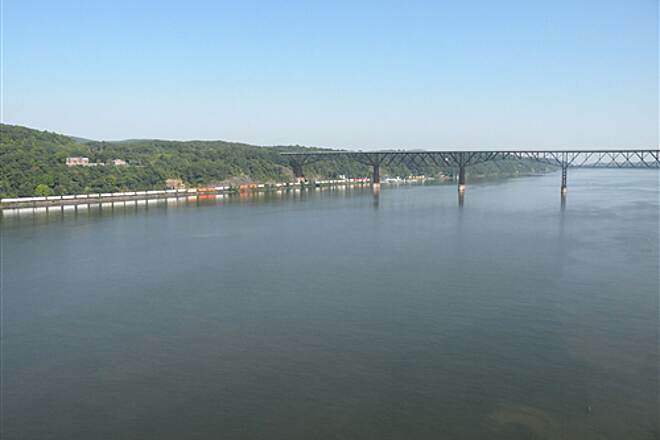 An early (6am) bike ride over the Hudson to Highlands and back (10.34m). It doesn't get any better than that, unless they add more paved trail!! This trail or beginning of a trail is fabulous!!!! The sun can be a challenge but a pair of glasses maybe a hat? I walk during off sun hours, but during the fall i love it up there!!! There are refuse bags for the dogs, water for the dogs, free!!! Water at vendors for the humans. I just love this trail. They even post how hot the surface is for the dogs!!! Be sure you have shoes for your dogs on some days during the summer. I was blessed to be there the very first night it was open...the hot air balloons, drifted, and the cold wind just brushed across my face. 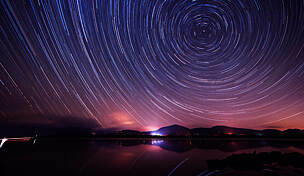 I was joyous that evening and return all the time. 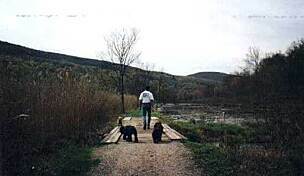 As always what we think about comes about and we seem to like this wonderful trail. If you cannot donate to the trail, at least keep it clean. The hokey pokey thing was a hoot but i got scared when the bridge did what healthy bridges do when there is lots of weight jumping up and down...the bridge moved... yeah, but i was good... and then gone. 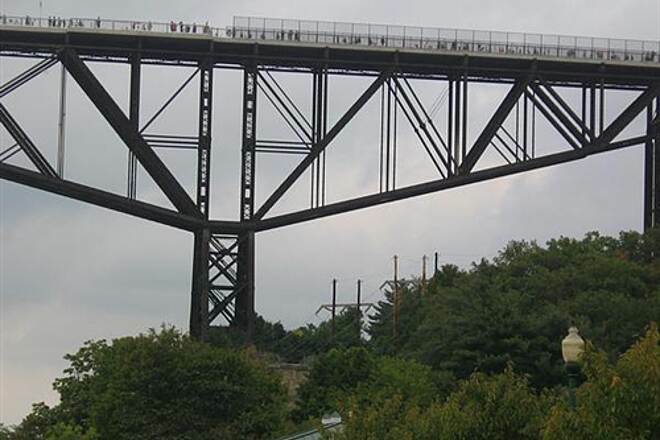 the bridge was a wonderful walk.. the views spectacular.. the breeze cool... think sunscreen and hats if you venture onward on a hot day as there is no shade out there save for some trees on the east side and west side approaches..
placards along the rails of the bridge tell of it's revival and life and Poughkeepsie's history .. a new stairway is being built on the east side to the surface street below in Poughkeepsie.. 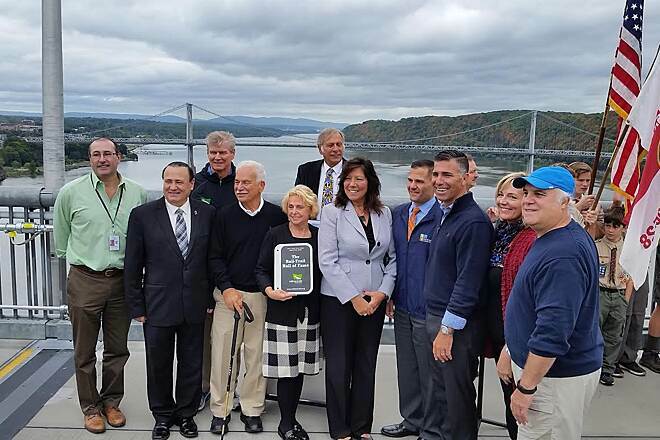 The Walkway Over The Hudson is a great gift that gives more people the opportunity to view the Hudson River and its scenic shorelines. This region of the USA is a real treasure. 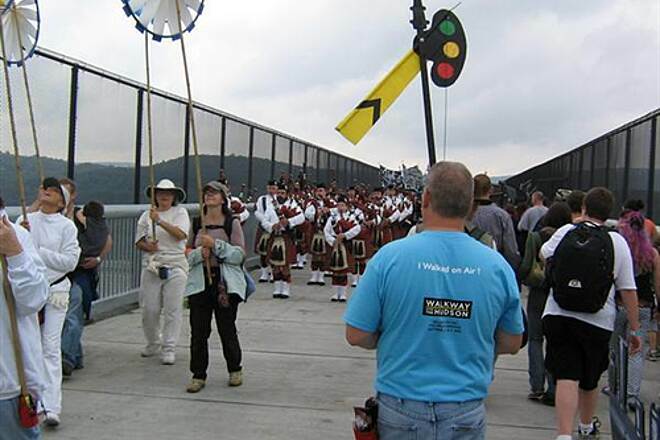 Not only does the Walkway preserve a marvel of 19th century engineering and construction, but also encourages everyone who visits it and gazes from it to preserve the Hudson River and the beautiful valley through which it flows. There are photos of the Friday night lantern lighting and fireworks, followed by the Saturday opening ceremony with Pete Seeger, the parade including all the surrounding towns, and the night circus. I strongly disagree with the review that said "Not for the squeemish". I have a strong fear of heights but the walkways rock solid feel and its massive railings will make anybody feel comfortable. Parking is still a problem on weekends. Your best bet is the highland side but be prepared to walk about a half mile unless you get lucky and find an open spot nearer. 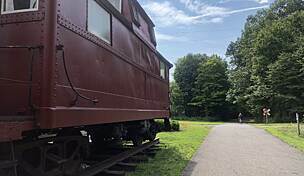 Hopefully they will get the rail trail connections done soon so bikers can park at the many rail trail parking lots and ride to the walkway. I've been on the walkway four times now and I've walked it every time. 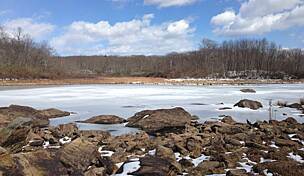 I'll probably bike on it once the rail trail connections are made but for now I prefer to walk it and enjoy the view. I give it four stars for now and maybe add another star when the connections are finished. On opening weekend it was open on Saturday night and the nighttime view was breathtaking. I hope they open it again once in a while on Friday or Saturday nights. We drove up the second Sunday it was open and the crowds were still amazing and amazed. 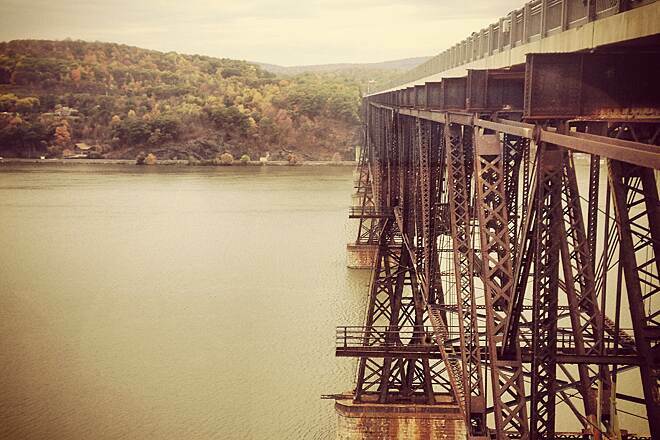 It's wide with mammoth guardrails and views up and down the Hudson. Applause to the volunteers who pulled this together. The link into New Paltz is not finished, but there were lots of cyclists using the local roads to connect. 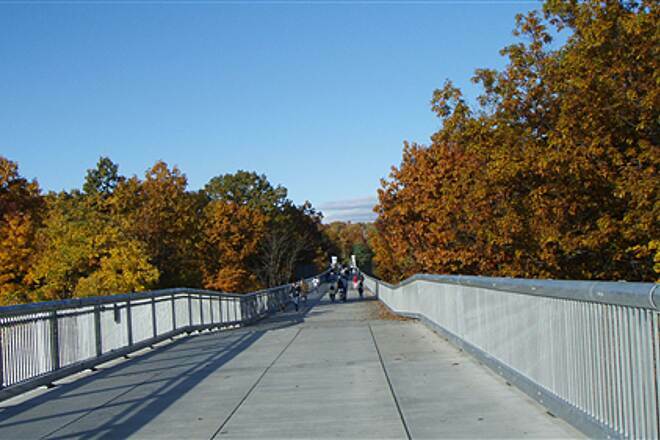 And if you can't wait for the trail completion, it's still a nice walk you can top off with a visit to the college town of New Paltz not far away. I was there opening day, and it was an amazing experience. 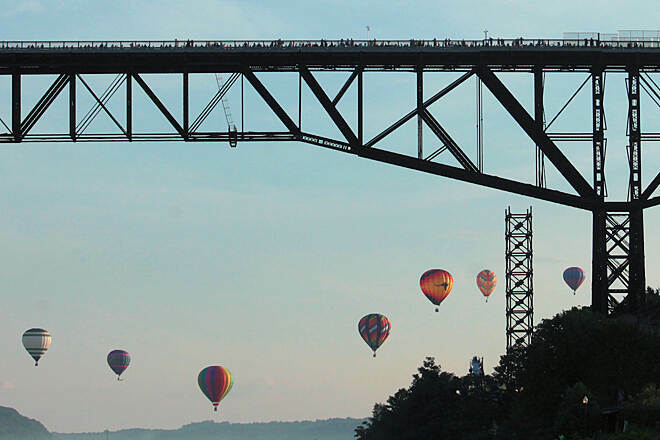 It does indeed feel like you are walking on air 210 feet above the Hudson River. 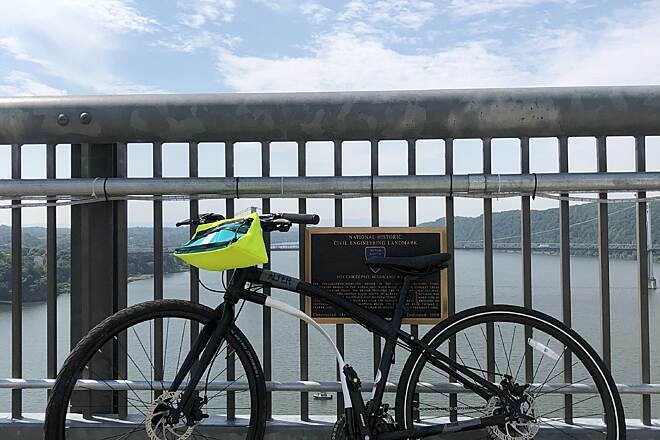 There are no trail connections yet on either end of the bridge, so if you are driving some distance to get to the Poughkeepsie area, you may want to wait until the trail connections are made before making the trip, which is projected for 2010, to make a full day of the trip.